If you need a home or office removal service in Golders Green, NW11 then Moving Service is here to service and provide solutions to all of your moving needs. We are a local removal company that specializes in short-distance removals, offering a range of services from man and van hire, packing, delivering and unpacking for residential and commercial removals. 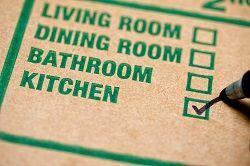 Whether it is a house, an apartment, a single room or a full office, we are committed to giving you and the rest of our customers a high-quality removal service. We are fully insured to give you peace of mind about the safety of your belongings and our removal team are experienced and trained to handle all items with the utmost care. They also pack and unpack all items with the appropriate equipment, materials and methods so that your items stay intact and arrive exactly as they were. Our highly trained team are also more than capable of carrying and edging out large and awkward furniture such as pianos, large sofas and grand dining room tables. For a removal service in Golders Green, NW11 then you know you can depend on, call us on 020 8746 4402 to chat with one of our expert removal team members. The area is a suburban development just north west of Charing Cross and is centred on the crossroads of Golders Green Road and Finchley Road. It has a big variety of housing there from divided houses to bedsits, terraced housing to large detached properties, giving the area a unique vibe and cosmopolitan feel. 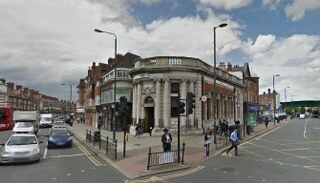 There is also a large busy main shopping street known as Golders Green Road. The area is also known for its large Jewish population and has the largest Jewish Kosher central in the UK which attracts a lot of Jewish tourists each year. The area is in the NW11 postcode district and the area has many restaurants with worldwide cuisines such as Kosher food, Indian, Thai, Japanese, Chinese, Korean and Italian. Such a wide variety makes it popular to eat out both for residents and tourists. There are also a number of coffee bars and niche food stores such as Malaysian and Iranian specialist grocery shops. As well as a wide choice of eateries, there is also a park that has a small zoo, gardens, ponds, a water garden and a café. As well as several schools, the area is well connected with Golders Green station on the London Underground on the Northern Line in zone 3. At Moving Service we offer a full range and variety of services from moving home, moving office or simply moving items and furniture from one room or suite to another. We also give man and van services and all packing and unpacking. Specializing in removal services in Golders Green, NW11 means that we can cater better for your removal needs and tailor make a removal solution for you. We offer reasonable prices and different payments options for individual removal services or a whole removal package. Our prices are totally transparent and will be clearly explained by our removal experts and in the removal plan. We offer a straightforward and direct approach so that you and our other customers get the best deal and never pay more than what we quote you. Our team is made up of an experienced group of people that have worked in the removal industry for years and who are committed to quality customer service and dedicated to consistently provide the best removal experience for you. To know more about our prices and removal services in Golders Green, call one of our team on 020 8746 4402 who will be happy to help.